New York City officials plan to test new “pay by phone” parking meters that motorists can pay by the app, warn them as the time winds down and invites them to buy extra minutes without returning to their cars. In coming months, nearly 300 spots will be equipped with the new technology, which is already used in Atlanta and Washington, for a one-year pilot program. 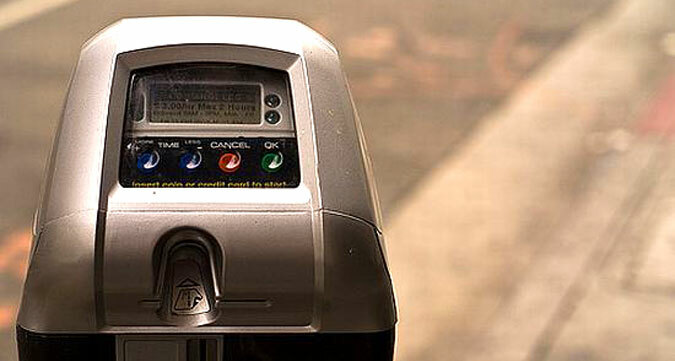 After a one-time registration online, drivers will simply use an app or text message to enter the number of the meter they are parking at and the amount of time they wish to purchase. During the pilot period, all revenue will go to the city, but vendors around the country generally charge fees to the municipality or to the driver. Although muni-meters already accept quarters, credit cards and parking cards, paying by phone could speed the process and help keep people from getting ticketed. The technology could even allow drivers buy back unused time, but it’s unclear if officials would consider making that option available. It’s be nice if the app could let you know about street cleaning!